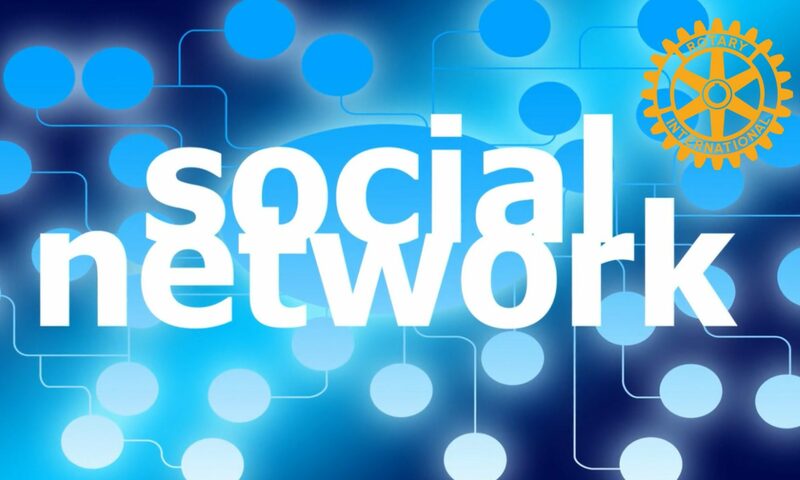 Rotary International and the Rotarians on Social Networks Fellowship encourages the use of social media networks to foster fellowship in furtherance of the service Rotarians provide locally and worldwide. Currently the most-used social media network is Facebook. Within the world of Rotary, thousands of friendships and many service projects have grown and flourished. However, in the use of Facebook, we have found an issue to address, in order to help Rotary, Rotaract, and Interact Clubs, and Rotary Districts, maximize the benefits of using Facebook. We strongly advocate that a Club or District establish their public presence on Facebook as a “Page“, and should you choose to create a private internal discussion hub, that would be a “Group“. If you have established your Club or District as a “person” with a profile, we recommend that you switch to a Page as soon as possible. While there is a limit to how many Facebook “friends” someone may have, there is no current limit on how many Facebook users, inside and outside of Rotary, can “like” your Page. As a matter of public image and as a matter of membership growth, a Page is the best alternative. A “person” on Facebook must be a real person. To establish a Rotary Club as a “person” on Facebook with a “profile” is a violation of Facebook’s terms of service. While it is up to Facebook whether or not to enforce their own provisions, Rotary International and ROSNF are concerned that Facebook will decide to enforce their rules. They could close down the accounts of Rotary Clubs who have established their presences on Facebook as a “person”, and those Clubs will lose their photos and information and have to start over without the ease of transferring the materials within Facebook. In summary, Rotary International and Rotarians on Social Networks Fellowship continue to encourage Rotarians and Clubs to use social networks to advance the Object of Rotary, and we strongly suggest that on Facebook in particular we exercise care not to violate that company’s terms of service and establish a Club or a District as a Page and not a “person”. Today ROSNF has 1,028 members who have registered on www.rosnf.net. It’s exciting to see ROSNF growing steadily. As we grow, I hope more members will volunteer to help with new programs to further promote fellowship and service. service projects, fundraisers, and events to club members, to district members via district Facebook pages, and to the local community at large on Facebook. More will be coming on this initiative in the weeks ahead.